It has been a little while since I have posted a project, so here is a recently completed saw build. 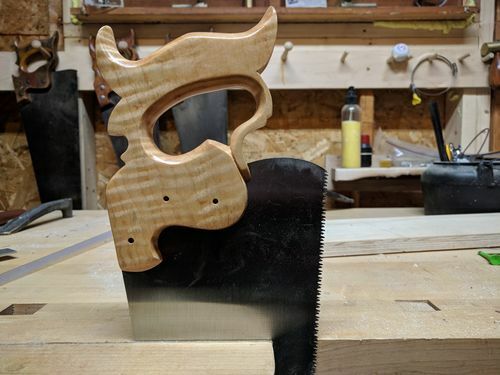 20-inch panel saw, filed cross cut, with a curly maple handle patterned after a Disston D-7 panel saw. 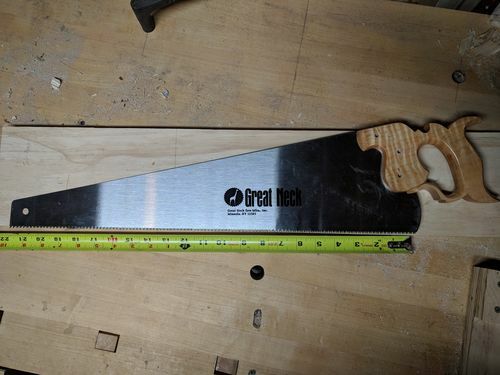 I have wanted a Lie-Nielsen panel saw for some time (actually a pair of them in rip and cross cut configurations) to live in my non-existent tool chest that I hope to someday build. 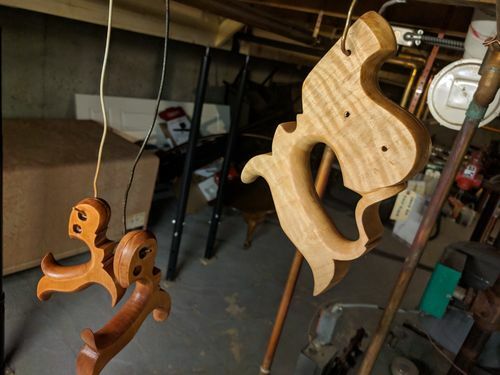 They are beautiful, and like all of Lie-Nielsen’s products, they are very well made and reasonable for the precision and warranty they offer. I have no reservations buying a quality tool like LN, I just dont have the money to do it right now. 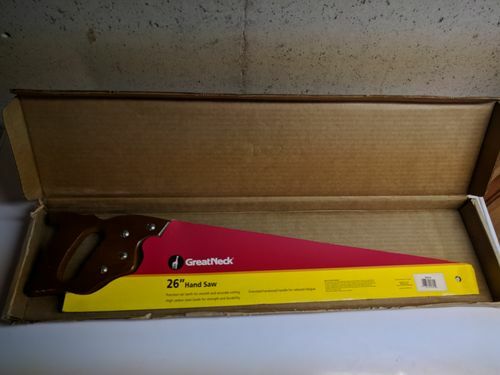 I ended up building my own saw using a much less expensive 26-inch handsaw from GreatNeck for its saw plate and saw bolts. 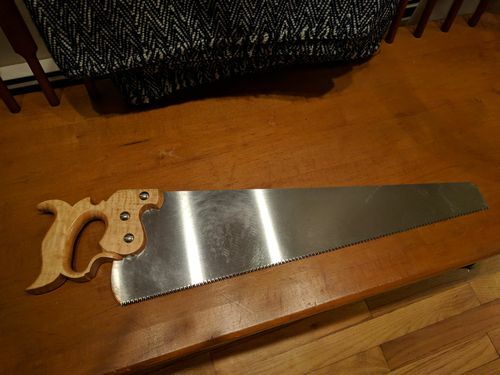 Here is what we have, a panel saw with a curly maple handle for about $28 and shop materials. Believe it or not, I do build other things besides tools, lol. I just NEVER think to take a picture of it before it’s completed and out the door. Nice work Norm. That’s a nice looking saw and a gorgeous tote! 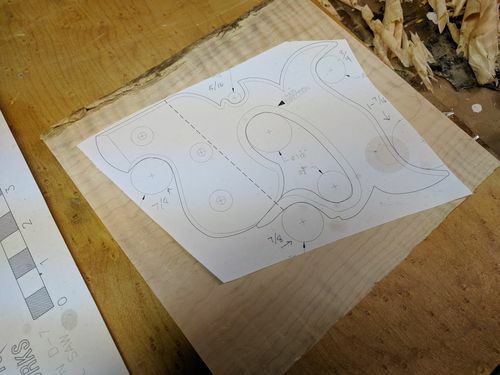 Very Nice, sort of doing the same thing with a crown gents saw, making a Dovetail saw. Just got to figure out the sharpening part? You can do it, Andre! Thank you gents for the feedback. Wow. Hard to believe what it was. Nicely done. Thanks all, its been fun trying to build saws using cheaper parts. She’s a beauty! Great job! Just beautiful !!! 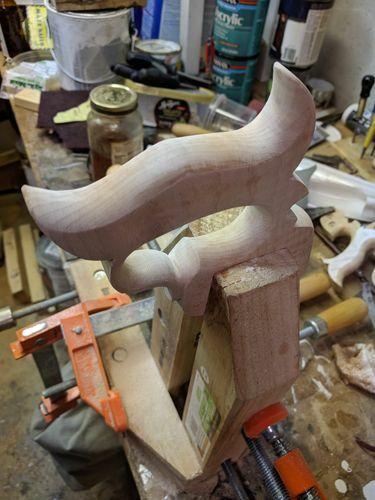 What did you finish it with to bring out that awesome grain pattern? Wow. 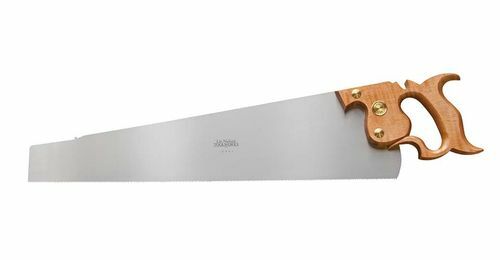 What a beautiful saw. I have a D8 and I love how the handle feels. Great job!